Imagine a magical highway that suddenly appears every winter. One that goes through back country and snow-covered mountains, secluded valleys and friendly villages. That delivers eye-popping vista–and conveniently stops right at the door of your inn or motel. In Vermont, you don’t have to imagine it: it’s our winter world of snowmobiling an activity that appeals to families and winter enthusiasts, as well as skiers and visitors looking for a exciting excursion or slice of North Country tradition. Since 1967, Vermont has been opening the doors to winters’ wonders with a remarkable trail system that now totals over 5,000 miles. With today’s modern comfortable sleds, it’s easier than ever to experience the thrill of zipping along winding trails, take 200-mile day trips or multi-day tours, or take in ride-ins full of country flavor. Vermont makes it easy to go snowmobiling. We set the standard for well-marked trails, readable maps, easy access to fuel stops, food and accommodations. 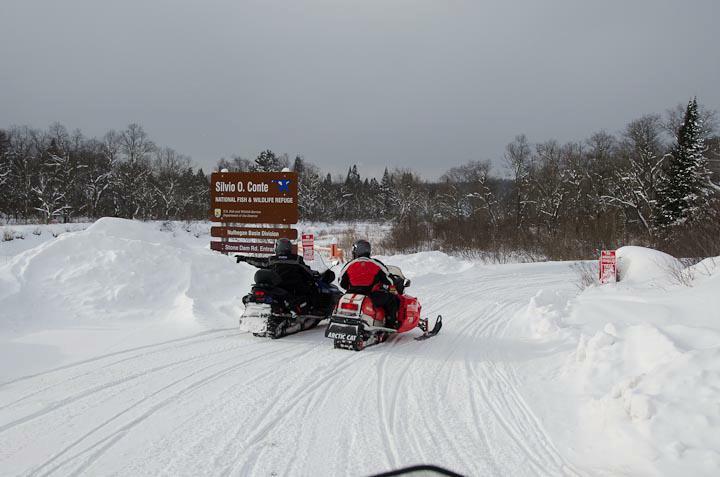 Our many convenient trailheads mean snowmobilers can hook up to trails anywhere in the state. And all it takes to snowmobile is a simple trail pass and a valid state registration. 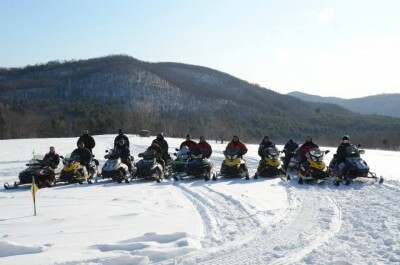 Or simply take a guided tour from one of Vermont’s many snowmobile tour operators. You’ll find the best-groomed trails the snow allows. The Vermont Association of Snow Travelers (VAST), together with local clubs, maintains Vermont’s trail network with over 120 groomers to assure smooth riding. And when you hit the trail, you’ll find VAST’s 128 community-based clubs hold friendly events every weekend all winter long, from pancake breakfasts and chicken barbecues to spaghetti dinners, charity rides, radar runs and snocross races.